View More In Trees - Page 2. Influenced by the scenic Colorado Front Range and made from 100% true needle technology, our Pine Tree with 750/1000 LED Lights from the ABUSA Christmas collection exudes grace and grandeur that suit classic holiday decor. 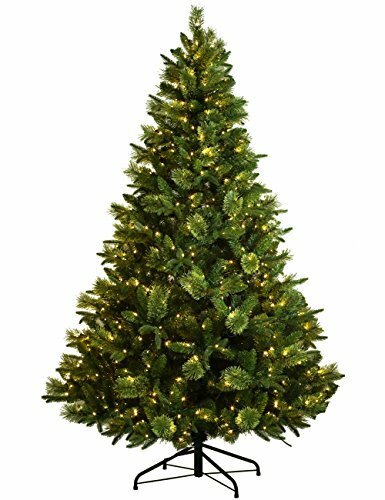 With a comforting sight and a gracious full-shaped silhouette, this pine artificial Christmas tree features thick needles and branches that are distinctly layered, leaving plenty of space for you to showcase your beloved ornaments. The Tree is offered prelit by an array of our exclusive LED clear lights that lend a charming effect to the room. On its own or decorated with accents, it will brighten up your home in elegance and style. Flame-retardant and non-allergenic, this artificial Christmas tree is crafted from only the finest materials to make your holidays even merrier throughout the years. Bring the splendor of the Colorado Rockies' front range into your home with our ABUSA Pine Tree. If you have any questions about this product by ABUSA, contact us by completing and submitting the form below. If you are looking for a specif part number, please include it with your message.